When you think of ‘Word of Mouth’, you probably think of ‘building buzz’, right? This is what most companies think word of mouth is about, what can you do to get people talking? Seth Godin has the classic example of a purple cow in a field. No one would talk about a regular cow, but if you saw a purple cow in a field, well everyone would talk about that! So the generally accepted idea behind word of mouth marketing is “What can we do to get our customers talking?” In other words, what can we do or create to give our customers something to talk about? But what if your customers don’t need anything to talk about? I have a Ford Fusion. In many ways, it’s a very average car, but it’s my car. It has every feature I want, it’s the right color, it’s got bulletproof reliability, I love it. I am also into detailing my car, so there’s certain products from companies like Klasse and Poorboy’s World that I love as well. These products make my Fusion look gorgeous, and increases my satisfaction with the car itself. So here I am, a customer who loves my Ford Fusion, as well as Klasse and Poorboy’s World products. There’s likely thousands or hundreds of thousands of customers just like me across the country. All of us would happily promote Ford, Klasse and Poorboy’s World products, but these companies aren’t connecting with us. We would happily create word of mouth, and positive word of mouth, about these companies, if they would only help us do that. 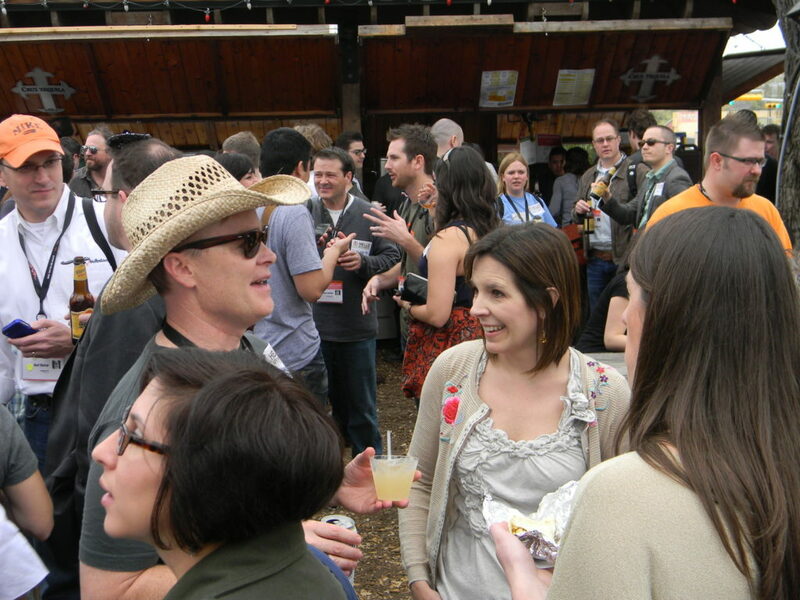 Years ago, I worked with a major brand on a customer advisory event. We brought in several customers and spent all day with them talking with and listening to them. At the end of the day, we asked them what they would like to see the brand do for them. The first customer answered “You guys have to figure out how to give us better tools to help us better promote your products to other customers”. This is the secret to creating word of mouth that most companies completely miss. Your happy customers would LOVE to create word of mouth on your company”s behalf, but you have to give them the tools and the permission to do so. The reason why most companies don’t do this is because they don’t make the time to do it. It would be very easy to identify these customers that would love to create word of mouth for your products. One simple way would be to track online sales. You know what the average order amount is, how often the average customer places an order, etc. Let’s say I am the online manager for Poorboy’s World, and I see that the average customer places 2 orders a year, for an average of $35 an order. You could create a threshold for your customers where if they buy at a level predetermined by you, that they will be offered a chance to join the Poorboy’s World Fan Club. Say, if you place 5 orders a year, you flag that customer as being a ‘loyal’ customer, and then invite them to join your fan club. Part of that could be giving them discounts, education on how to better use Poorboy’s World products, and encouraging them to promote the brand both offline and online by being active on message boards and forums devoted to detailing. Your brand could easily do this, track customer sales (which you are already doing), and when an individual customer hits a certain level, you invite them to join your program devoted to encouraging your happy customers to create more word of mouth for your products. It’s that easy. BTW, if you want to try out Klasse products, this guide is a great start. The two products you want are ‘All-In-One’ and ‘High Gloss Sealant Glaze’. AIO cleans and preps the paint, HGSG protects it for at least 6 months, possibly as long as a year. Cost for both is around $50 shipped (shop around), and they will last you for years, only need to apply twice a year, I use them in the Spring and again in the Fall. Enjoy! Interesting and useful information. Thanks Mack!